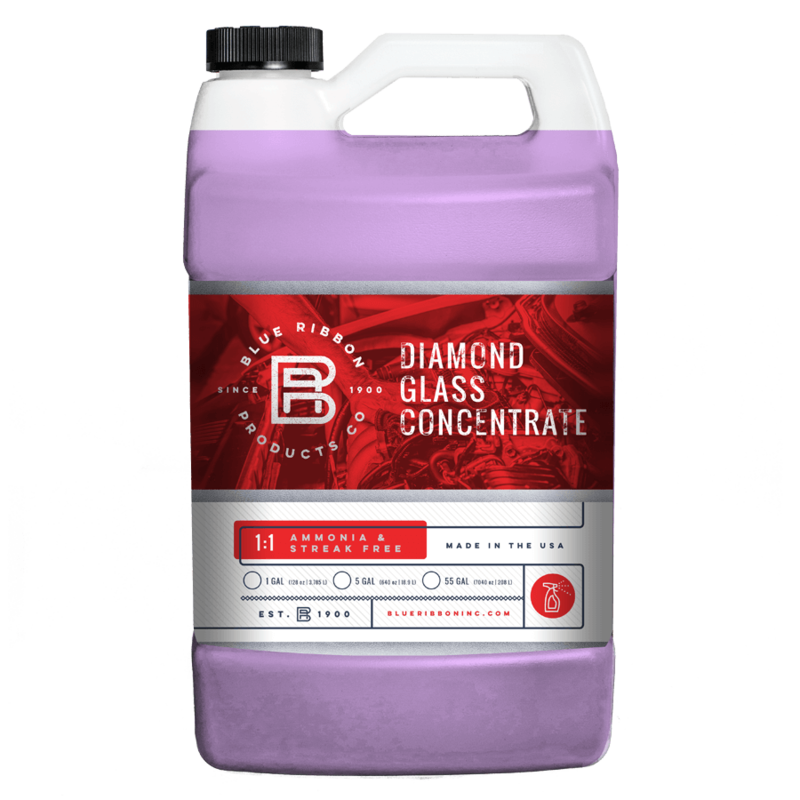 Concentrated liquid cleaner which contains a blend of alcohol and grease cutting agents for removing smoke and traffic film. Soap and ammonia free. © 2018 Blue Ribbon Inc.